Three brother bears awkwardly attempt to find their place in civilized society, whether they're looking for food, trying to make human friends, or scheming to become famous on the internet. Grizzly, Panda and Ice Bear stack atop one another when they leave their cave and explore the hipster environs of the San Francisco Bay Area, and it's clear the siblings have a lot to learnabout a technologically driven world. 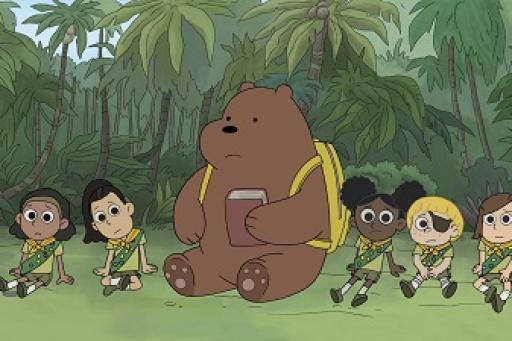 By their side on many adventures are best friend Chloe (the only human character in the cast), fame-obsessed koala Nom Nom, and Charlie, aka Bigfoot. 18 March 2019 Season 4, Episode 40: Fire!